Running in Bali. Best routes and places to run in Bali. 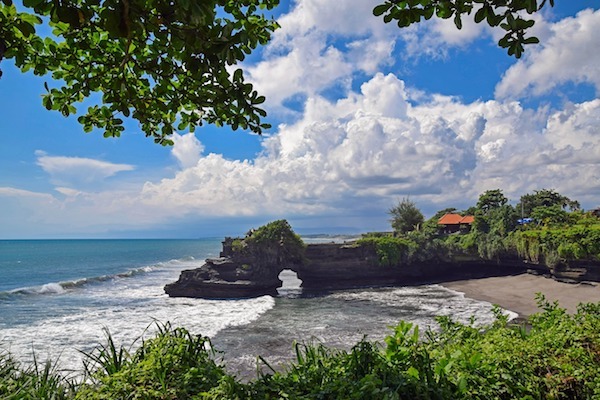 Beautiful Bali is Indonesia’s most popular tourist destination, owing to its varied terrain — from great beaches to lush foliage, rice terraces, and inner mountains with active volcanoes. 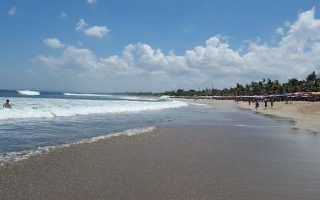 The most visited parts of Bali include the Kuta/Legian/Seminyak beach areas near the capital of Denpasar, the cultural center of Ubud, Sanur Beach on the east coast, and the Jimbaran Beach/Uluwatu area to the southwest. 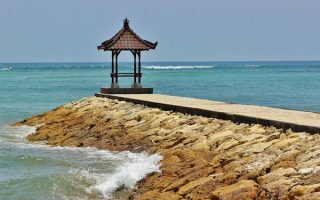 Our guide to running in Bali provides extensive recommendations for the best spots in some of the more visited areas of the island. 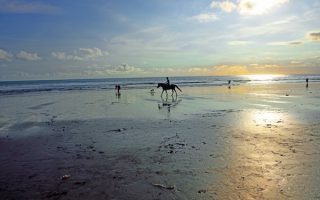 The Kuta/Seminyak Beach area offers some great beach and boardwalk running, as does the Sanu Beach area. 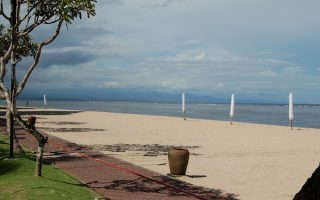 In the high-end resort area of Nusa Dua, there are good pedestrian paths and some well-landscaped roads. 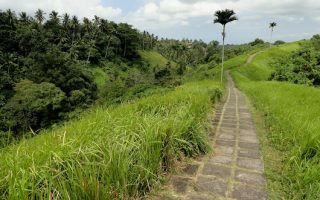 In Ubud, take a run on the Campuhan Ridge Walk or past rice terraces. In the Jimbaran Beach area, but there’s great beach running and quieter roads. Denpasar is not great for running, although there are couple of nice parks. Overlooked Serangan Island, only 15 minutes from Depasar/Kuta, has some of the best running on Bali. A couple of notes about running in Bali: Roads are not always marked and can be challenging for running (potholes, narrow, no shoulder); be aware of the weather, which is warm to hot and humid year-round, with monsoonal rains from October to April. Also, Jl=road and Pantai=beach. Capital of Bali and gateway to the island. 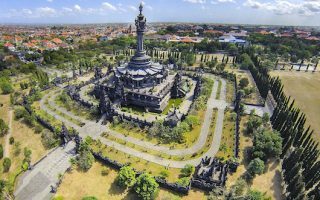 The best spot for running in Denpasar is the Lapangan Renon Park, which surrounds the Bajra Sandhi Monument. The smaller Lapangan Puputan Badung has a jogging track and fields. Some of the best options for running in Bali. 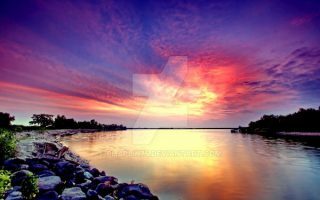 The beach is very runnable and extends for several km north or south. A paved boardwalk path runs for 2.5 km to Jerman Beach, with great water views. The road north to Seminyak is also runnable. 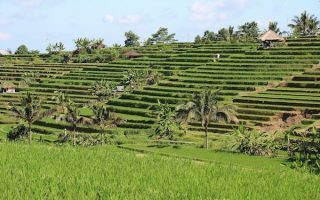 This increasingly popular beach town north of Kuta and Seminyak is a good place to create your own route to view the terraced rice paddies of Bali. Use the small roads and paths, such as off Jl. Babadan. Not a heavily visited spot but fantastic for running, and only 15-20 mins. from Denpasar/Kuta/Sanur. Great for longer, waterside runs on quiet gravel roads. We've mapped loops of the western & eastern sides, with opportunities to combine. An opportunity for some lush, scenic Bali countryside running. Run along trekking paths and past rice paddies, where there's a combination of gentler and more challenging, hilly trail running. The fishing towns and coastal resorts offer some excellent running options. We recommend the 4 km long Jimbaran Beach, hill running on quieter roads just inland, and for a unique running experience, the grounds of GWK Culture Park. Quiet village located in southeastern Bali, dotted with colorful fishing boats, galleries, restaurants & an old temple. The best bet for running is the 6 km paved beachfront path that goes south to Mertasari Beach and north to Matahari Terbit Beach. High-end resort area on Bali's east coast has great hotels, shopping, convention center, & golf resort. Best places to run are along Nusa Dua Beach, and on some of the tree-lined resort area roads, which have good paths. Bali has a tropical monsoonal climate. Temperatures are nearly uniform year-round, with average highs in the 30-32C range (high 80s), and warm nights, rarely dipping below 24C (75F). The west monsoonal season is December-March, with extensive rain and higher humidity. Bali can be drier in the west compared to the east. Outside monsoon season, it’s a lot drier but there can be rain any time of year. Plan on the heat/humidity/rain when thinking about running in Bali. It’s best to consult the main tourism guides for Bali for guidance on accommodations. In most of the areas of Bali for which we’ve suggested running routes, there are hotels within some proximity. Use our Bali Running Overview map for guidance. There are outlets of various shoe/apparel companies, mainly in Denpasar and Kuta. Sports Station (planetsports) is a good local store located in Denpasar. Indorunners Bali has an active Facebook page and does group runs in Denpasar Thursdays at 5:30 and Sundays at 6am. Hash House Harriers. This global organization gathers in Ubud and other popular spots. See their site for schedules. The Hash 2 group runs near Denpasar every Saturday at 4:30 p.m. The site Just RunLa has a good calendar of Bali running events. Bali Marathon. Typically in September.